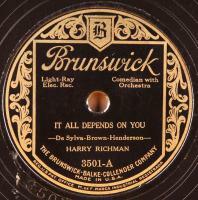 Nice standards by 20’s crooner, Harry Richman with orchestra accompaniment. 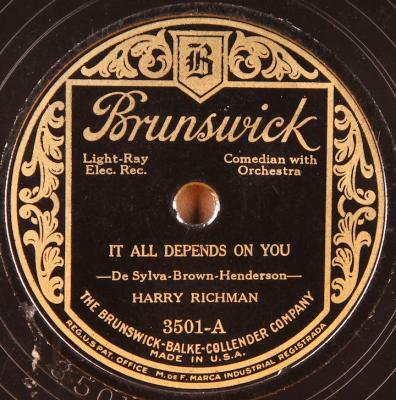 Condition: E—; Plays fine, loud and strong, over light to very light surface noise. Generally clean copy aside from some light scuffing/rubbing.